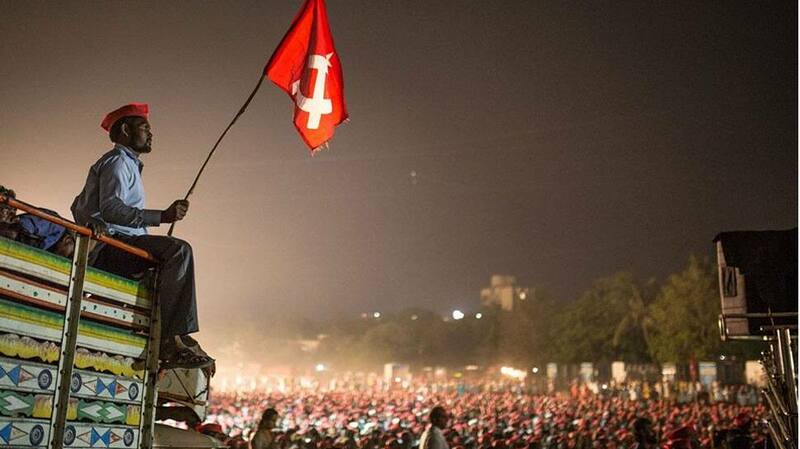 The Left Front on Tuesday announced the names of candidates for 38 seats of the total 42 Lok Sabha seats in West Bengal. The Left Front has decided to not field any candidates in Malda Uttar, Malda Dakshin, Jangipur and Berhampore as Congress had won these seats in 2014 Lok Sabha poll. The Left Front is an alliance of Communist Party of India (Marxist), All India Forward Bloc (AIFB), the Revolutionary Socialist Party (RSP), the Marxist Forward Bloc, the Communist Party of India (CPI), the Revolutionary Communist Party of India and the Biplabi Bangla Congress. Out of 38 seats, CPI (M) will field its candidates from 29 seats, AIFB from three seats, RSP from three seats and CPI from three seats. Earlier, it was reported that Left and the Congress were holding talks to fight the Lok Sabha poll together in the alliance but the seat-sharing talks between the two parties failed after Congress announced that it will fight the poll alone. Meanwhile, Left Front on Tuesday said that it is still open to hold seat-sharing talks with the Congress and will wait for Congress’ decision till 4:30pm on Wednesday. Left Front leaders said that if Congress decides against withdrawing its candidates on the two seats – Raigunj and Murshidabad, then Left will also field its candidates from the four seats which it has left for the Congress. On Monday, Congress had announced the candidature of ex-union minister Deepa Dasmunsi and Abu Hena from Raiganj and Murshidabad constituencies respectively. Dasmunsi is the widow of Congress stalwart late PR Dasmunsi and she will fight against sitting CPI(M) member Mohd. Salim, while Hena will contest against Badarudozza Khan. The party also announced that Abhijit Mukherjee, the son of former President Pranab Mukherjee, will contest from Jangipur, while former West Bengal Congress chief Adhir Ranjan Chowdhary will fight the Lok Sabha poll from Berhampore.